The Apple and the Tree…. As a child, I have vivid memories of my mom packing for our family vacations, or helping us get organized for summer camp. 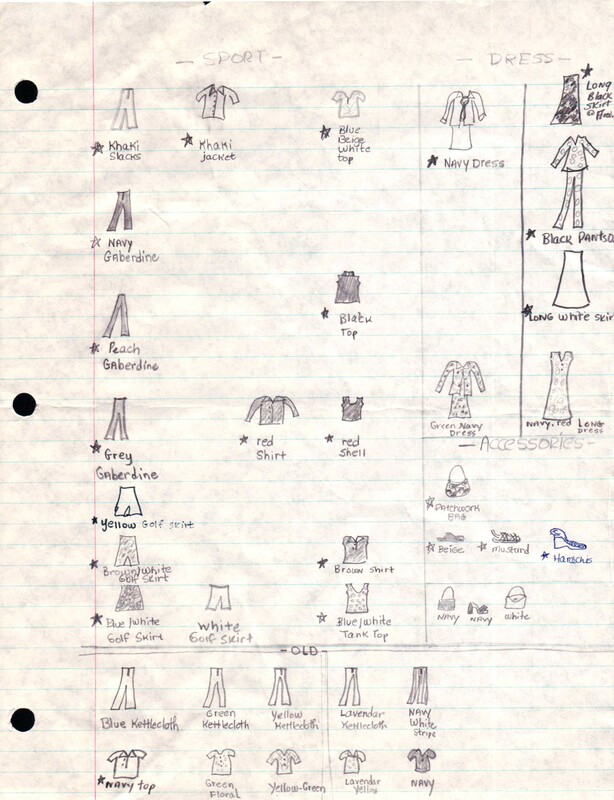 Mom always had a very peculiar way of making packing lists – specifically, illustrating her packing lists with small drawings to represent each item…..
Mom’s packing list for a trip…. In April, I got sucked into reading threads in an online community of sewers (seamstresses, sewists, stitichers, whatever your favorite word may be…) who focus on Sewing with a Plan (SWAP). There is a contest every year, and quarterly threads with seasonal challenges. The idea is to select a color palatte – say a neutral or two, and one other color, and to sew a coordinating seasonal wardrobe (maybe a pant, dress, skirt, three tops, and a layering piece). 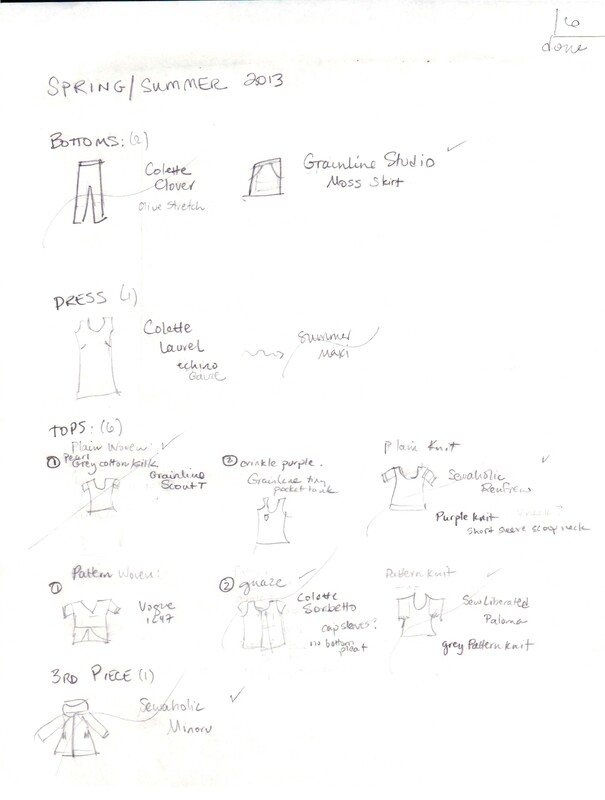 It wasn’t until I drew it all out out that I remembered those packing lists of my mom….. Working on my autumn 2013 plan right now!